Andrew Hsiu has been documenting little-known but taxonomically important minority languages since 2012, while he was still a linguistics undergraduate student at UC San Diego. He has made 3 successful language documentation field trips to China, and has identified several languages in China that are new to science, including Muangphe, Maza, Ku, Luoji, and others. 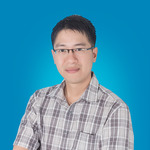 He has also documented new language varieties in northern Vietnam such as Na Meo of Tuyen Quang, and has performed additional language documentation fieldwork in Thailand, the Philippines, and San Diego, USA. "Living fossil languages" of southern China: Why study language diversity? A motorcycle-taxi taking me through the rugged mountainous landscape of Yunnan in 2012. My goal was to find the only woman in China who could still speak Red Gelao. The last Wai Gelao in Funing County, Yunnan Province, China who can recall any words in Wai Gelao. She is in her mid-80's. She only remembers several vocabulary words. All audio recordings and field notes are now online at https://sites.google.com/site/msealangs/ The 2015 trip was a huge success, with five languages documented and three new Tibeto-Burman languages discovered. Very intriguing project and important work. Wishing you the best on your research projects! Super thanks to you for your hugely generous support! I'll keep an eye out for your fabulous research on Tibeto-Burman languages in China! A really special thank you for your wonderfully generous support Matthew! I'll be looking forward to your research on Tai languages in Vietnam. Wonderful project! What are the initial 10 languages going to be? Thank you so much Michael. Most highly appreciated!